Everyone wants to keep their families safe, and when it comes to safety at home, there are obvious hazards to prepare for. But what about the hazards you don’t even know or may forget about? 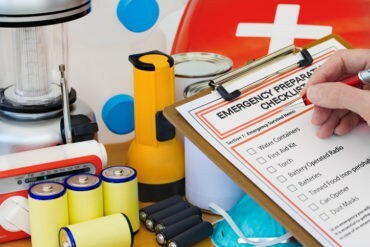 You need to plan for common home hazards, from falls and fires to choking and chemicals, to keep your family safe. Below, we’ve listed a few types of hazards you can watch out and prepare for. Add grip tape to outdoor stairs, tubs, and showers. Give your kids a place to keep their toys, and reinforce cleaning so no one trips over anything. Skip the throw rugs or anchor them to your floors. Put nightlights in hallways and rooms. Keep furniture away from windows and put childproof locks on windows. Clean up any liquid as soon as it spills. Fires are a serious concern and can happen just about anywhere in your house. Check each room carefully to eliminate hazards. Never leave the stove or other heated appliances on or a candle unattended, and make sure your space heater is at least a few feet away from a wall or furniture. Keep hot objects out of the way of children, and use stove knob covers or similar devices to reduce fire risks. When you’re cooking, use the back burners and turn the pot and pan handles away from the edge of the appliance. Regularly check your electrical cords, including extension cords, for fraying or wear. Note that cords can also be a strangling hazard. In the laundry room, keep the lint trap clean and don’t store paint or cleaning supplies near the dryer. Make sure every room in your house has a smoke alarm. Test them once a month, and change the batteries at least once a year. Every home should also have at least one fire extinguisher that’s been checked annually by a fire protection equipment company. Water can pose drowning, falling, and burn hazards. Never leave young children alone in the bathtub—it takes only a few inches of water for drowning to occur—and check the water temperature before putting your kids in. If you have an older family member in your home, put nonstick tape on the tub floor and put up handrails to prevent them injuring themselves. Also check your washer’s hoses for frays or cracks. It’s easy for them to burst if they’re damaged, and you could have a flood on your hands before you even notice. Lock away cleaners, poisons, and other chemicals, and add another layer of safety by putting them on a high shelf. Put up shelving units in your garage to store any oil or antifreeze as well. Chemicals don’t just burn the skin—they can also irritate eyes. Ingesting chemicals is very dangerous, so call the Poison Help Hotline at 800-222-1222 for free advice if you think someone in your family may have swallowed poison. Keep yard tools such as rakes and lawn mowers high on a shelf or locked in a shed so your family members can’t get to them easily or accidentally. In the kitchen, use a locking trash can, and put a child lock on any cabinets or drawers that house sharp objects. Put child locks on cabinets in the bathroom, too, and keep any razors or sharp grooming tools locked up to prevent serious cuts. If you live in an older home, check the walls for lead-based paint, inspect the house for hazards such as asbestos, and install carbon monoxide detectors. Unless you stay home 24/7, there’s no way to keep your house safe all the time. But if you install a security system with cameras, you can monitor your home (and everything in it) around the clock from your phone, tablet, or computer—whether you’re just down the street or halfway across the world. Easily keep an eye on every room in your house and get quick assistance if anything goes wrong. 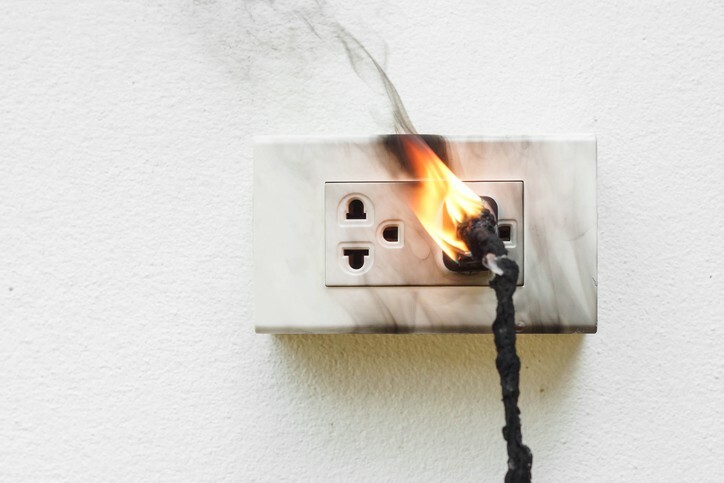 Use the tips in our list to keep you and yours safe from common home hazards. Know another parent or family who might want to learn more about common home hazards? Share this article with them.